With cold fronts flitting through the state, chili lovers are readying their recipes for a bit of warmth in the kitchen and throughout Lithia, as FishHawk Ranch’s Fourth Annual Chili Cook-Off unveils, hosted by the FishHawk Ranch Homeowners’ Association.Contenders will battle to the last spoonful on Saturday, January 23, from 11:30 a.m.-1:30 p.m. at FishHawk Ranch Park Square, located at 16144 Churchview Dr. in Lithia, as onlookers gather around their intoxicating concoctions. For $5 enthusiasts of the hearty fare can taste-test each opponent’s chili, voting for the one that they can’t resist. Upon the outcome of tallied votes, first, second and third place will be rendered to those with the most saliva-inducing admissions, collecting the title and trophies for the day. “Everyone from cooks to tasters to staff all has fun participating in this event,” states Aquatic/Program Coordinator Erin Olson, who is also the chili committee chairperson. 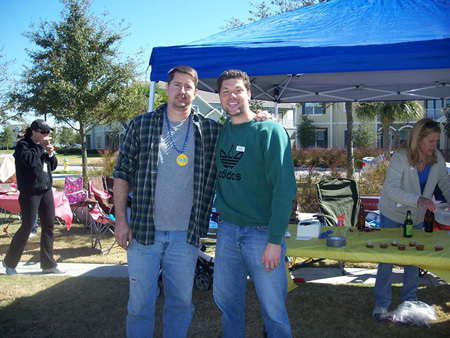 “The chili competition is family-friendly, and the event is very laid back. It’s fun to bring out the family, taste various chili recipes and just hang out in the park. It’s also a great way to meet your neighbors and see what local businesses are in the area.”With more than 200 residents expected to attend – last year bringing in a total of 200 attendees – meeting your neighbors won’t be especially hard. If you think your chili could stand on its own, you are encouraged to come out and compete. Registration is $20, but if you need a table, add $10 more to that figure. All proceeds will go towards the operation of the event, from the disc jockey and trophies to staffing and signage. The $5 paid by residents covers cups, spoons and napkins. Businesses that participate can do a bit of self-promotion with the use of their own banners and advertising items. Those businesses that cannot attend are welcome to donate raffle items instead. The deadline to register is Wednesday, January 20.“This is a great event that draws all types of people that have one thing in common – the love of chili,” concludes Olson. For more information or to register, contact Olson at 685-7880 or eolson@fhrhoa.com. Registration forms and rules for participating can be downloaded from www.FishHawkConnect.com.